As a statistical consultant at HRDAG, Beka uses advanced data-analysis techniques to arrive at definitive casualty counts on projects such as the Syrian casualty enumeration done in collaboration with HRDAG, the UN-OHCHR, and Syrian advocacy organizations. 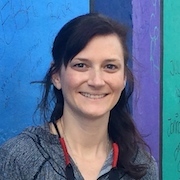 Beka is currently an assistant professor at Duke University in the Department of Statistical Science with affiliations in the Social Science Research Institute and the information initiative at Duke. She was a Visiting Assistant Professor in the Statistics Department at Carnegie Mellon University from 2012 to 2015. She is a recipient of the Graduate Alumni Fellowship Award (2007-2010) from the University of Florida and the U.S. Census Bureau Dissertation Fellowship Award (2010-2011). In 2011, she was awarded the UF Innovation through Institutional Integration Program (I-Cubed) and NSF for development of an introductory Bayesian course for undergraduates. She has also been awarded Finalist for the 2012 Leonard J. Savage Thesis Award in Applied Methodology. She is interested in scalable computational methods for social science applications. Her current works focuses on recovering high dimensional objects from degraded data and determining how to recover the underlying structure. Methods used for this are entity resolution, small area estimation, locality sensitive hashing, and privacy-preserving record linkage as applied to medical studies, fmri studies, human rights violations, and estimation of poverty rates in hard to reach domains. Her research was on record linkage and sparse clustering was recently funded by the John Templeton Foundation, MetaKnowledge Network Grants Awarded, November 2014. She was recently named to MIT Technology Review’s 35 Innovators Under 35 for 2015 as a humanitarian in the field of software. Her work will be profiled in the September/October issue of MIT Technology Review, and she will be recognized at a special ceremony along with an invited talk at EmTech in November 2015. She received her B.S. in Mathematics in 2005 from Davidson College, her MS in Mathematical Sciences in 2007 from Clemson University, and her doctorate in 2012 from the Department of Statistics at the University of Florida under the supervision of Malay Ghosh. You can find Beka on Twitter @savageresearch or her webpage.